Product prices and availability are accurate as of 2019-04-18 00:20:17 UTC and are subject to change. Any price and availability information displayed on http://www.amazon.com/ at the time of purchase will apply to the purchase of this product. This unique square pan does it all. 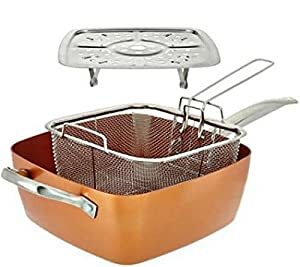 Copper Chef Square Pan is the Multi-Purpose Non-Stick Pan that replaces your stock pot, rice cooker, baking pan, frying pan, wok, and roasting pan. Revolutionary square ceramic design and deep-dish sides give you more room to cook more food. Up to 25% more cooking space than traditional nonstick round frying pans. 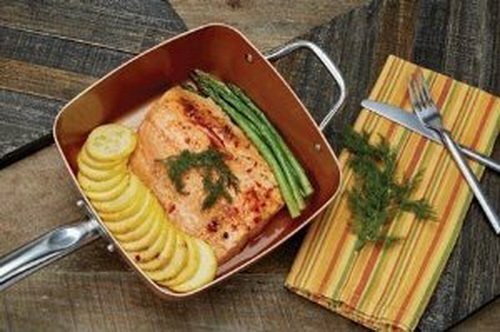 Plus, Copper Chef features Cerami-Tech Non-Stick Technology so nothing sticks to the pan. This means you can cook anything without any added butter, oil, or grease! Innovative Stainless Steel Induction Technology distributes heat rapidly to all four corners of the pan for even cooking every time. It withstands heat up to 850° degrees so you can take it right from stovetop to oven. 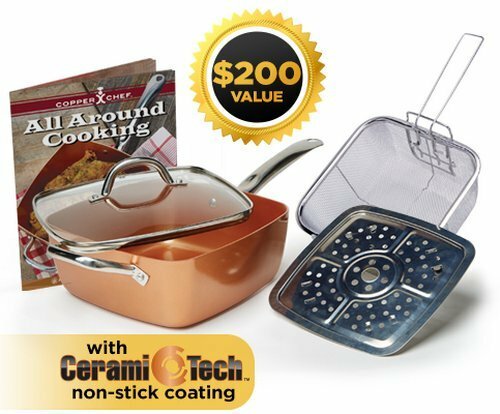 Copper Chef's state-of-the art Cerami-Tech, non-stick coating is leading the way in the new generation of healthy, non-stick technology. Your food will never stick to the pan! So you can cook without added fats or oils. Copper Chef is completely chemical-free so it won't chip, peel, or flake into your food. Because there's little to no residue left behind, clean-up is a breeze. No wasted time soaking and scrubbing. 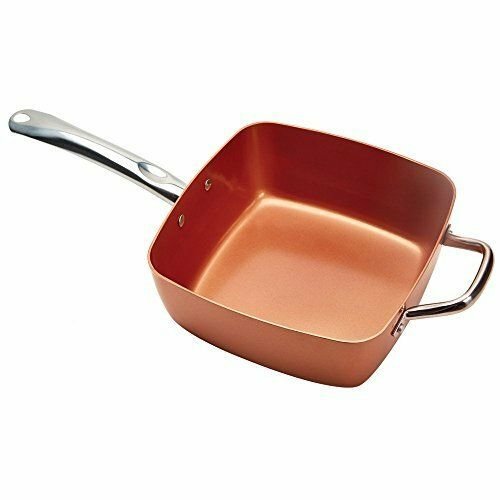 Your beautiful reddish Copper Chef pan is dishwasher safe! 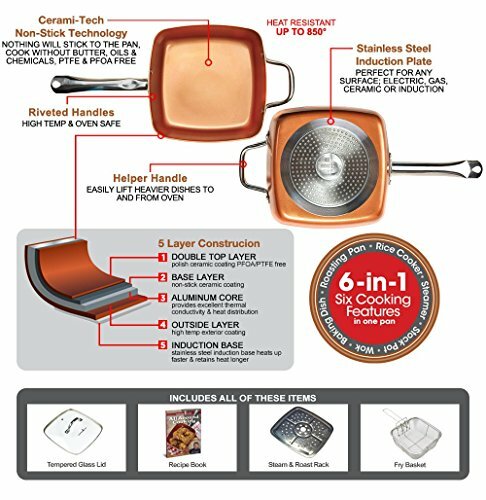 Perfect for any stove top surface-electric, gas, glass ceramic, and induction- the copper chef does it all!